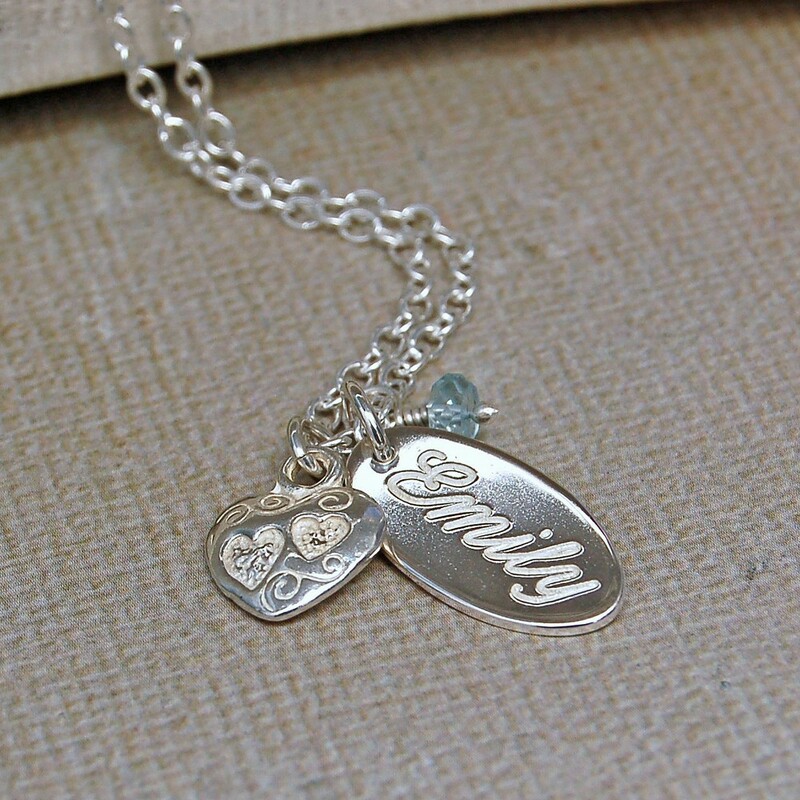 A sterling silver charm etched with the name of someone special and complimented with a sterling silver or gold vermeil heart charm and gemstone birthstone. 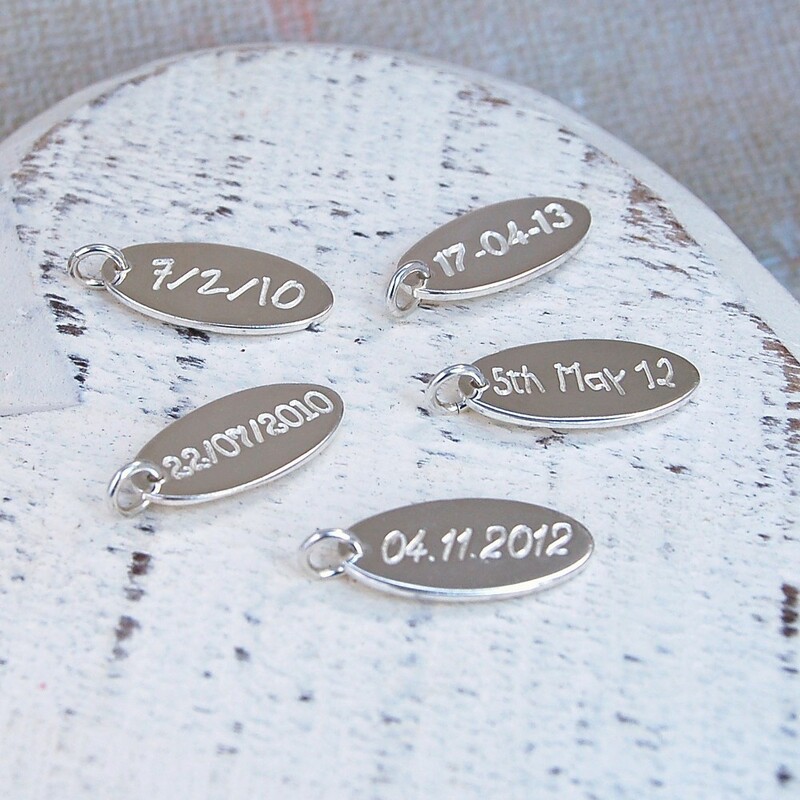 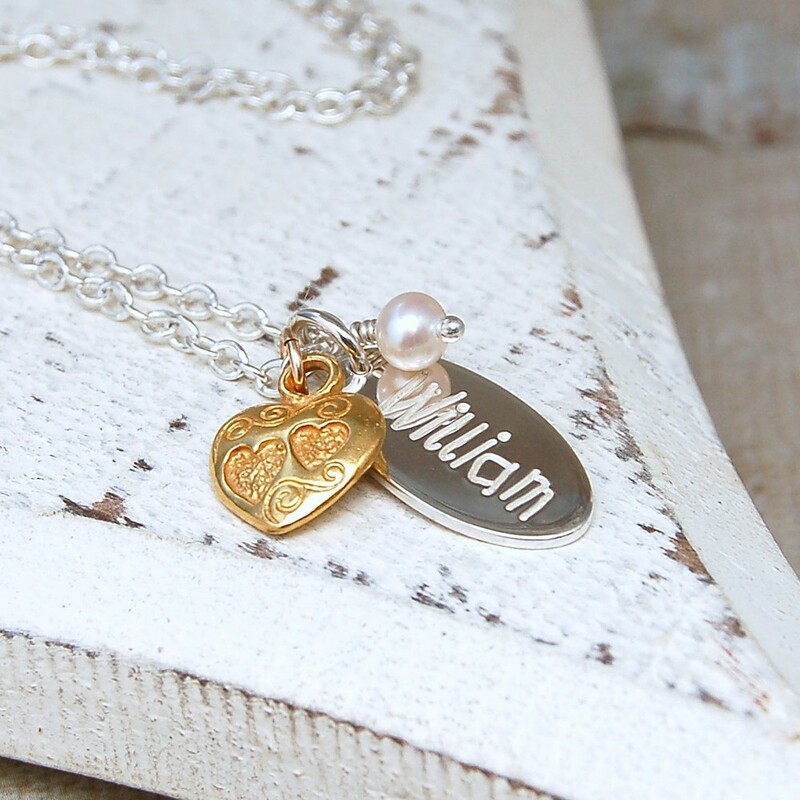 This beautiful personalised keepsake charm necklace makes a wonderful gift for Mum to celebrate the birth of a new baby but is also great for Birthday's, Mother's Day and other special occasions. 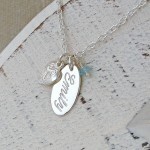 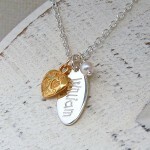 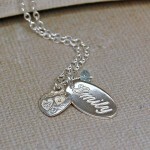 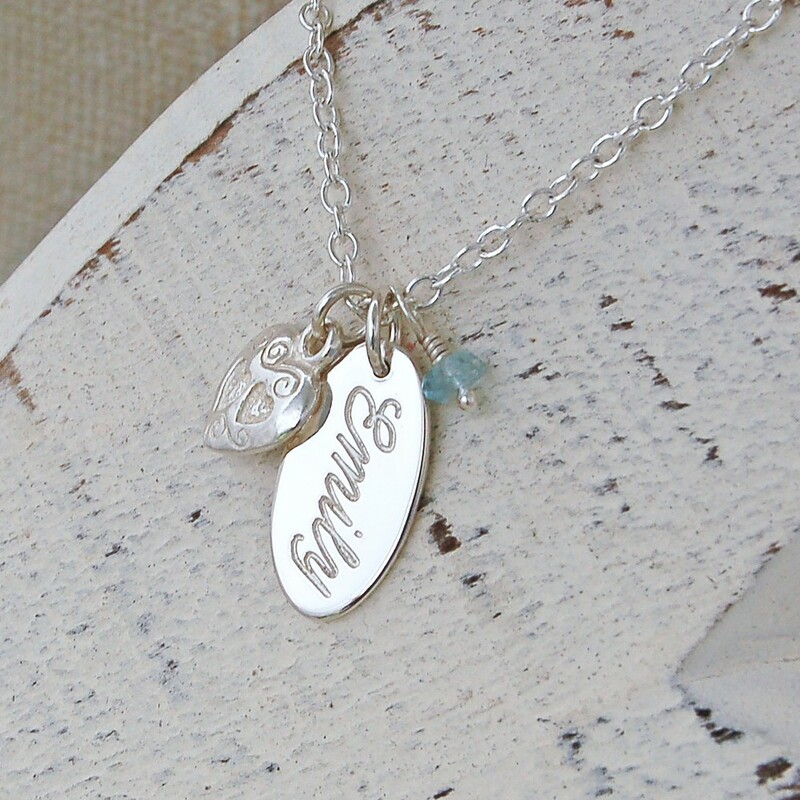 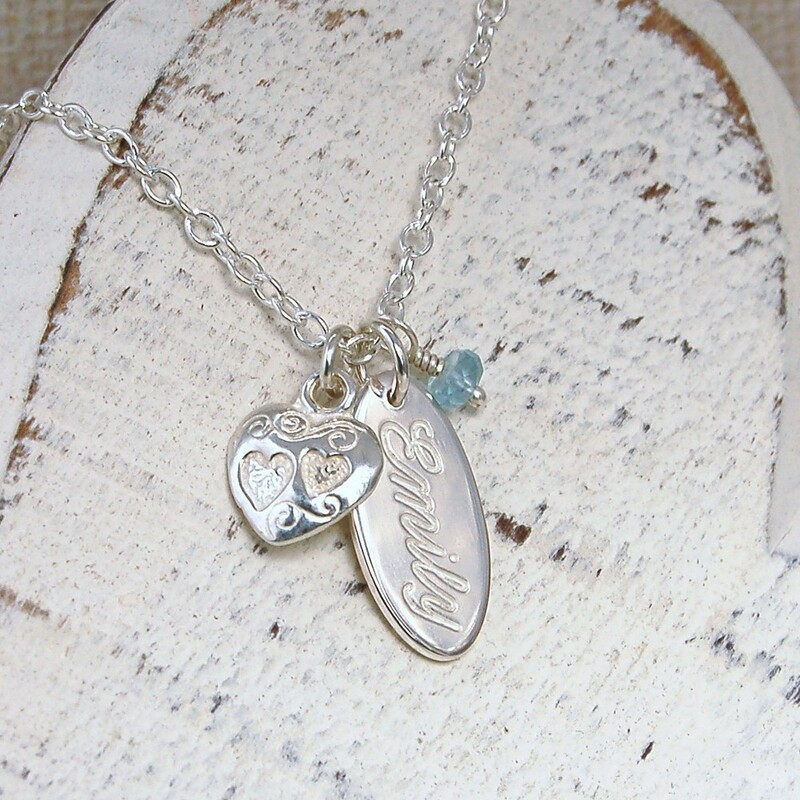 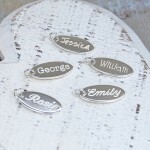 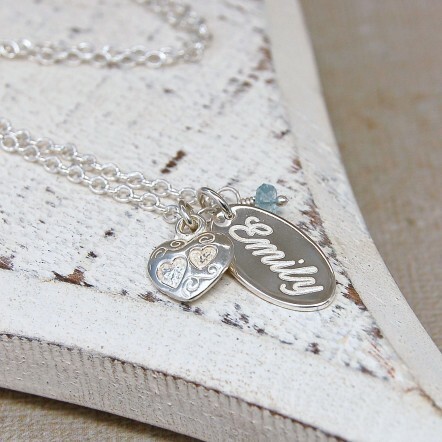 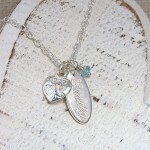 Although it is popular to have the names of your children, this necklace can also be etched with Mum, Sister, Niece etc. 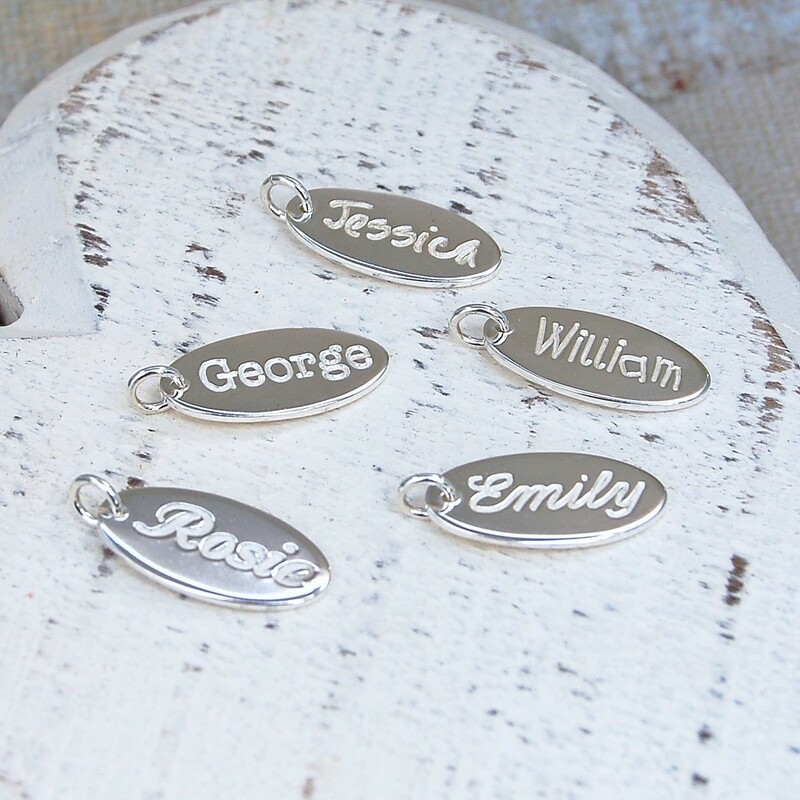 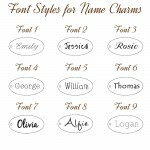 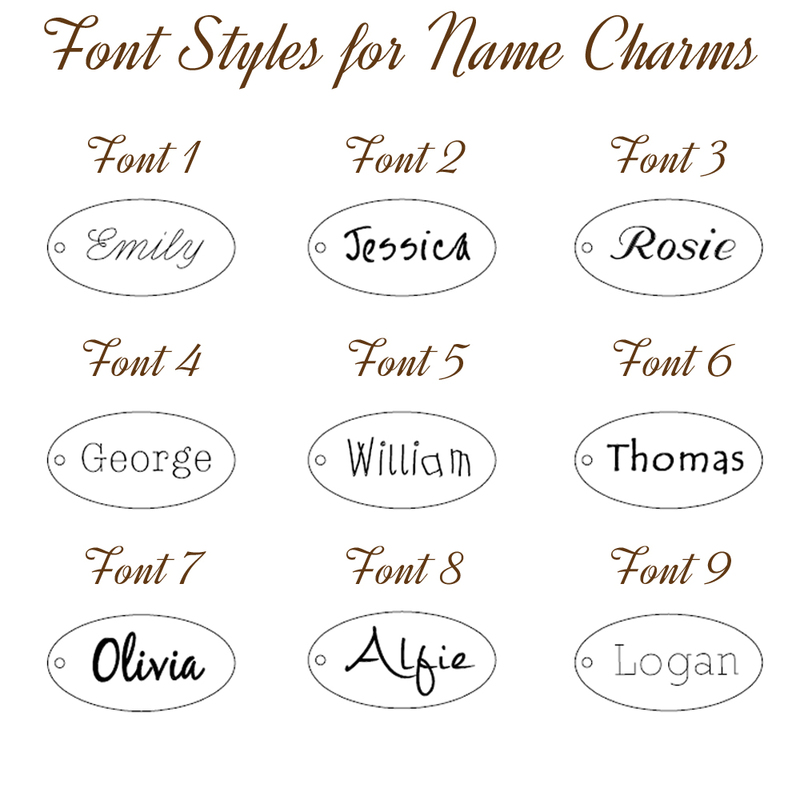 We can etch a name up to 8 characters in a choice of fonts and can also etch a date on the reverse if required. 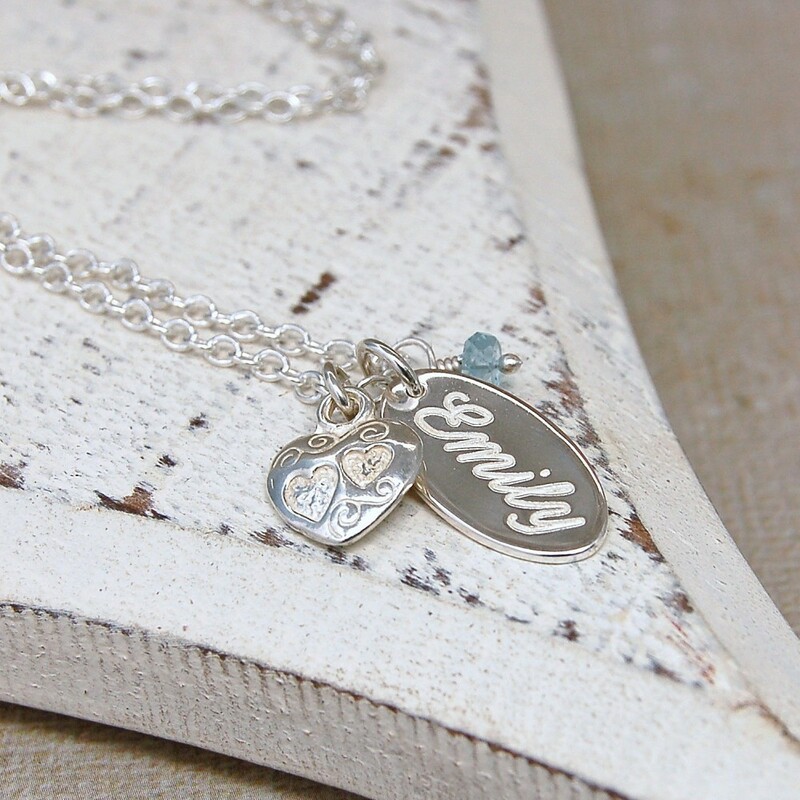 The birthstone gemstone is optional, so if you would prefer not to have one, just choose the relevant option from the drop down box and the chain is available in various lengths to suit each individual. All components of the necklace are sterling silver with the option to have a Gold Vermeil Heart Charm. 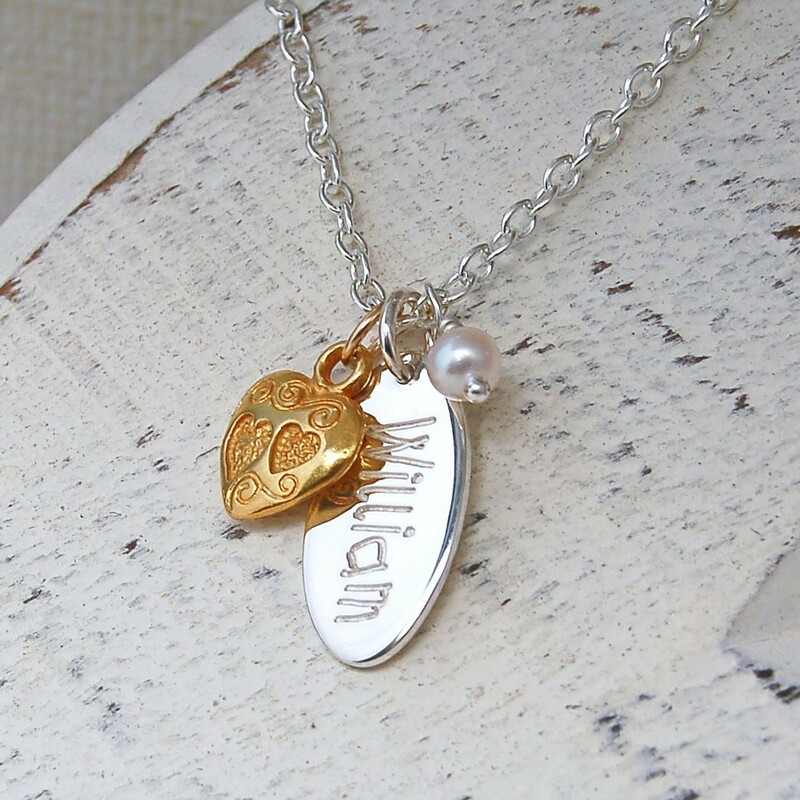 The birthstones are genuine gemstones and freshwater pearl. 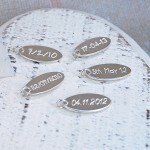 The oval charm measures 1.9cm in length and is 1cm wide. 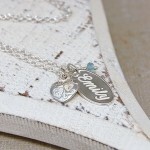 The silver chain is available in various lengths to suit each individual.